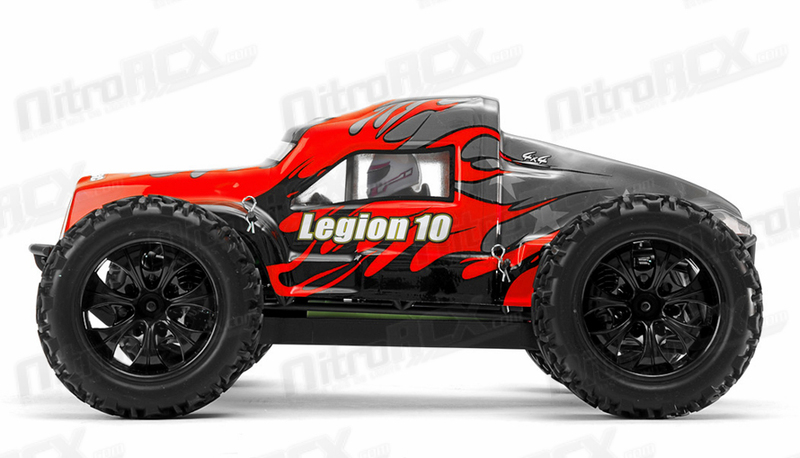 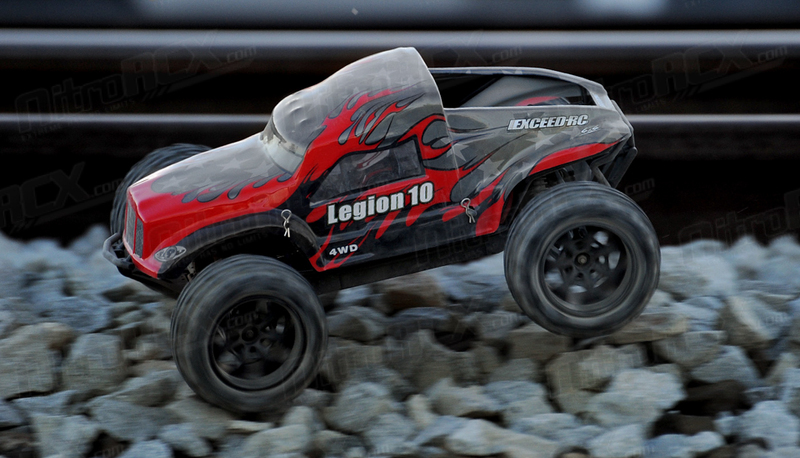 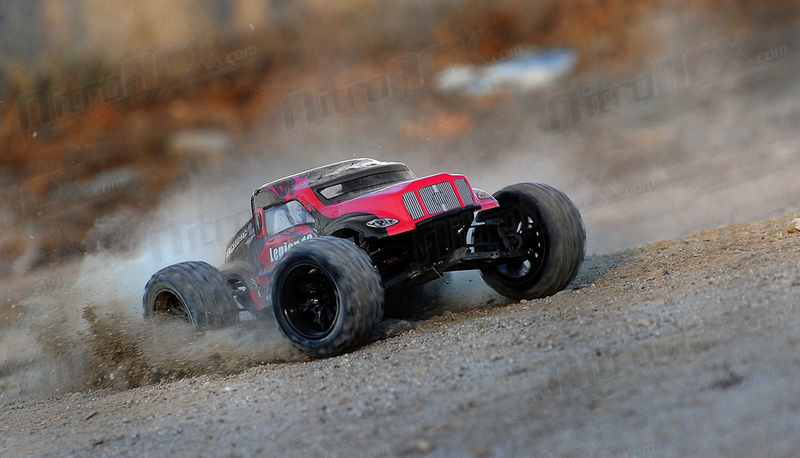 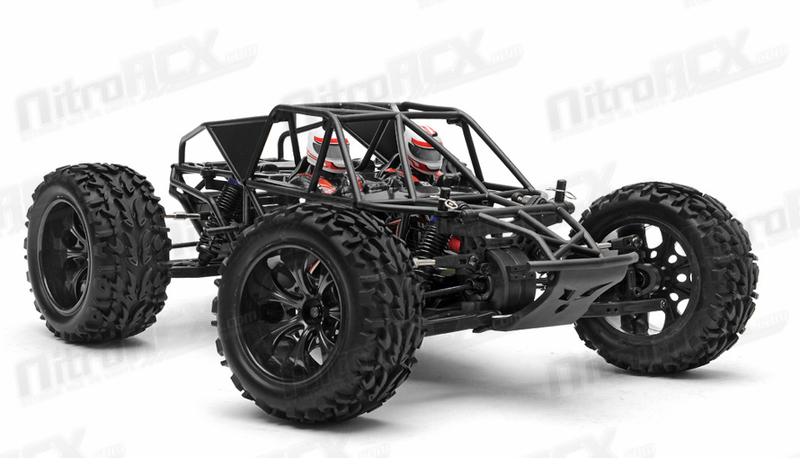 You are looking at the newest monster truck derived from the Exceed Racing Factory. 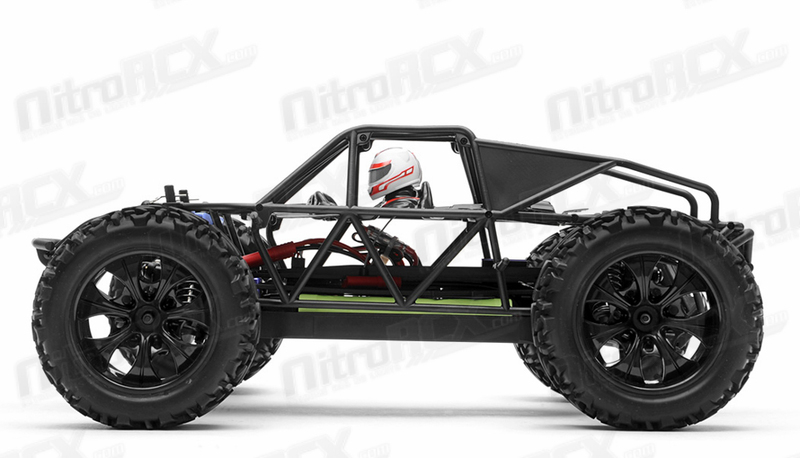 This is a complete ready to run short desert monster truck. 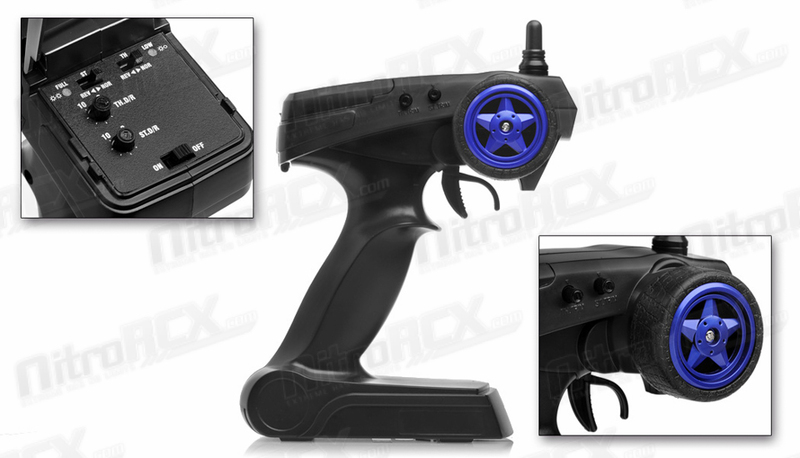 It includes a brushed waterproof electronic speed controller with proportional forward and reverse function. 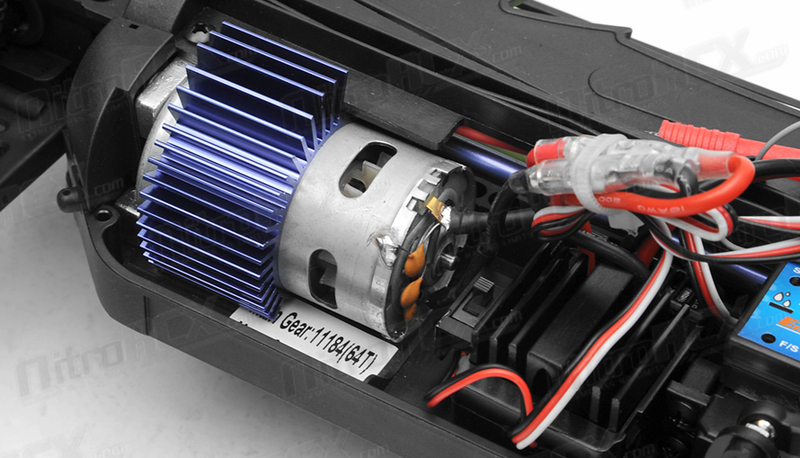 The electronic speed controller pushes power to a high torque 550 canned brushed motor. 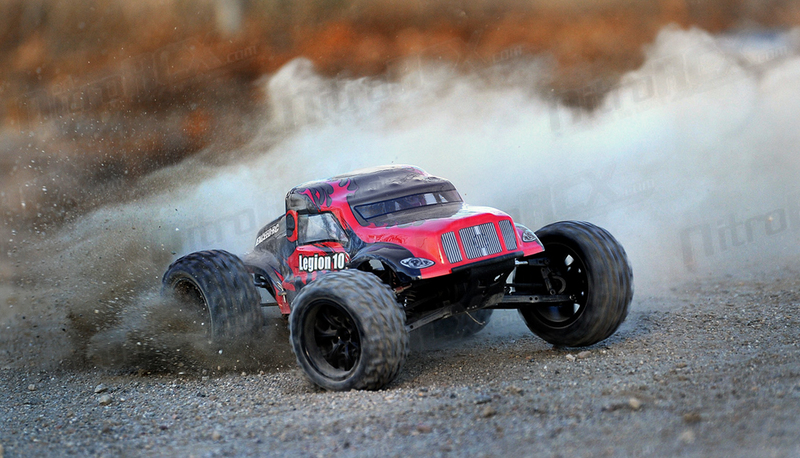 The power delivery is enough to spin the tires and perform massive dirt roost just like a real monster truck would. 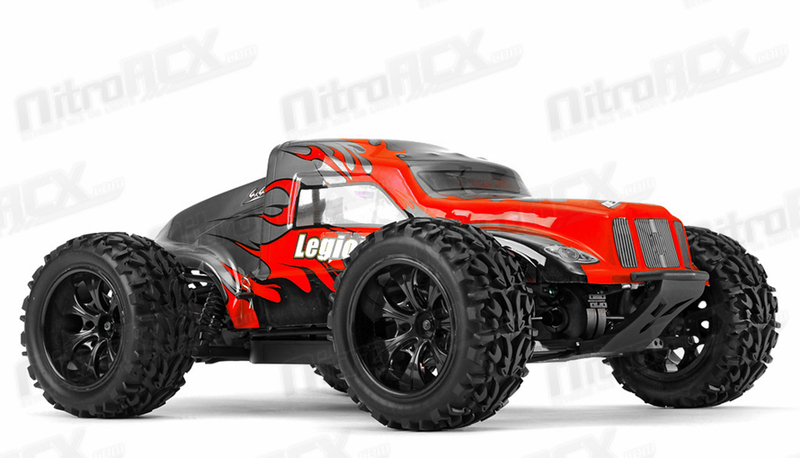 Aggressive monster truck tires mated with beefy off road wheels ensure traction and control in a variety of landscape conditions. 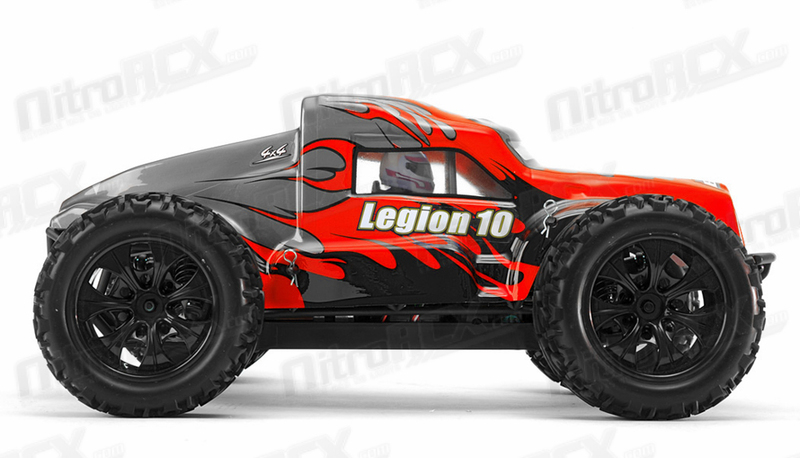 The Legion truck platform consists of a shaft driven? 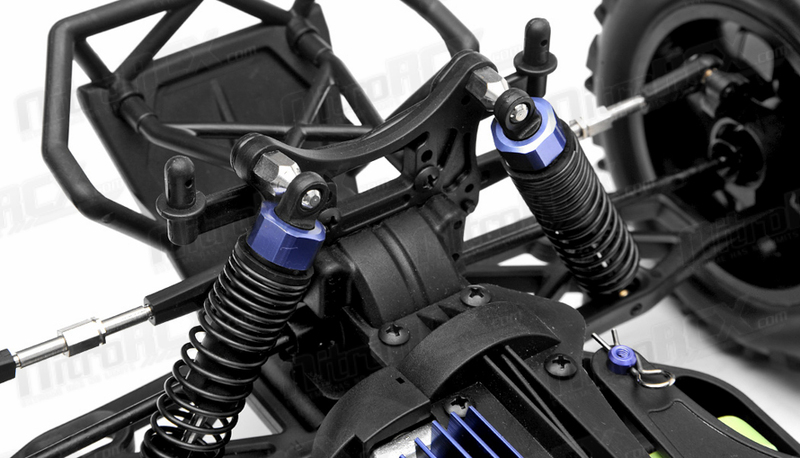 4 wheel-drive system, geared differentials, aluminum upper deck chassis, aluminum drive shaft, metal axes and oil-filled shock absorbers with progressive springs to tame any terrain. 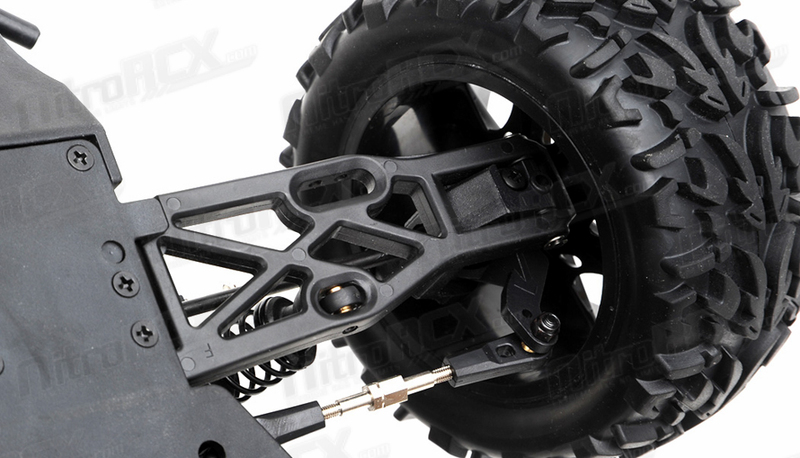 The steering mechanism is handled by a high torque servo allowing aggressive all terrain driving. 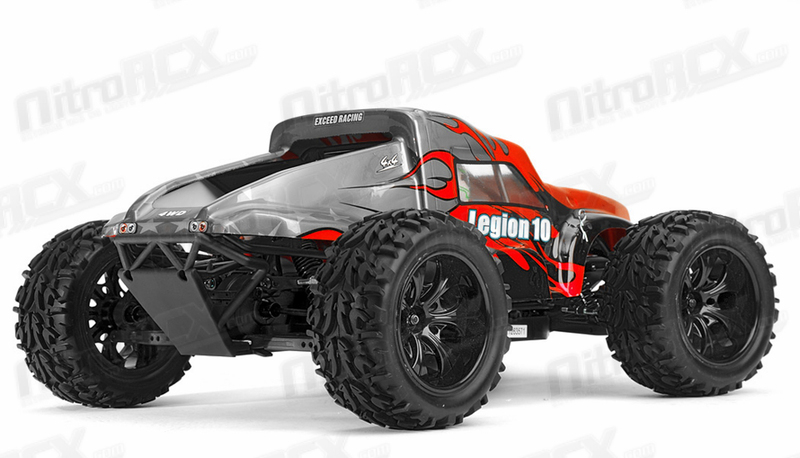 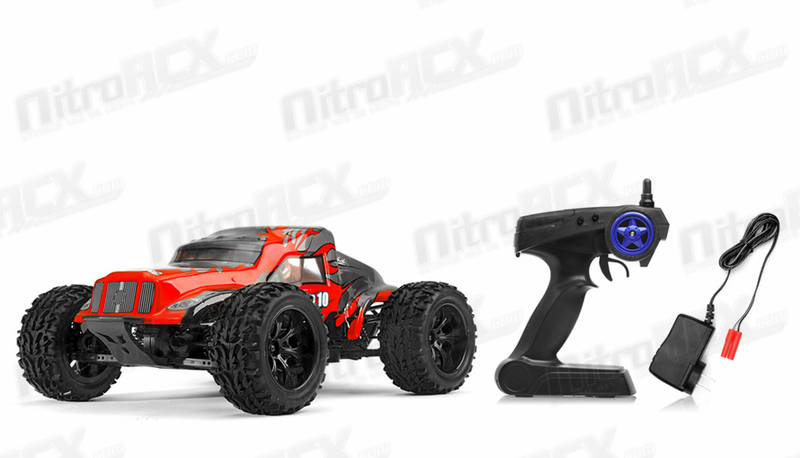 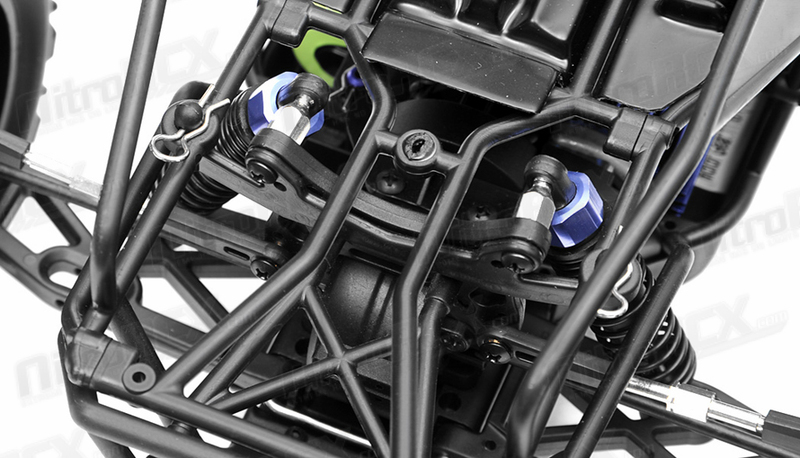 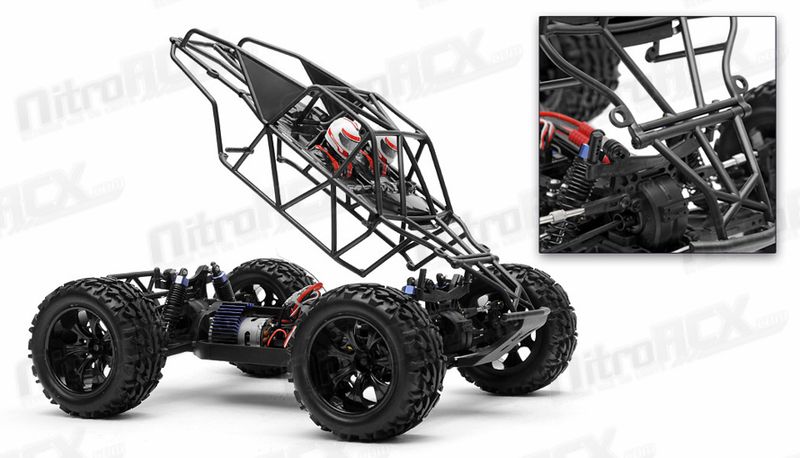 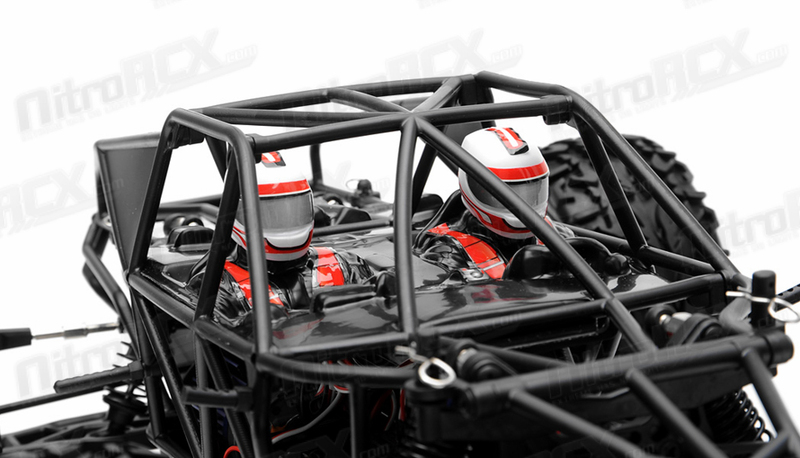 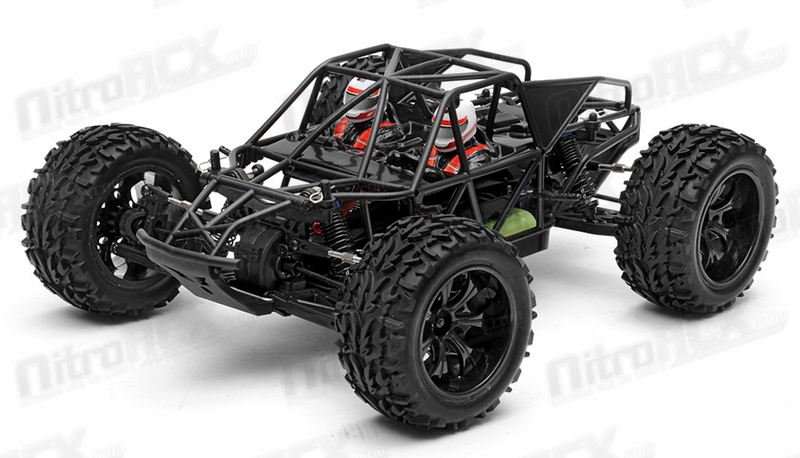 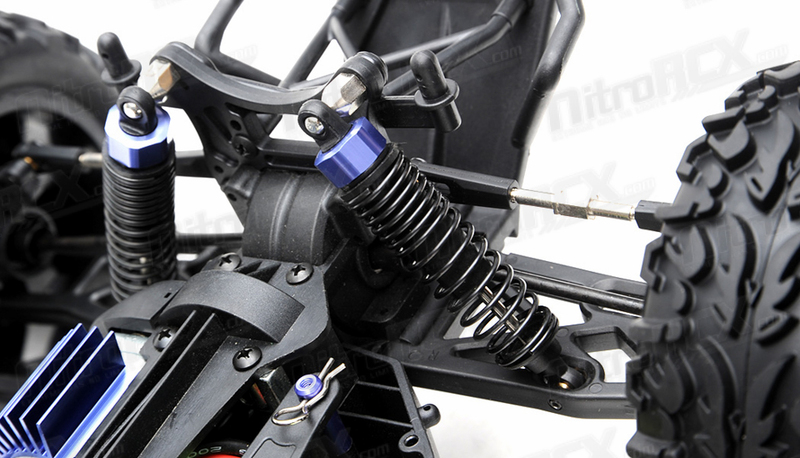 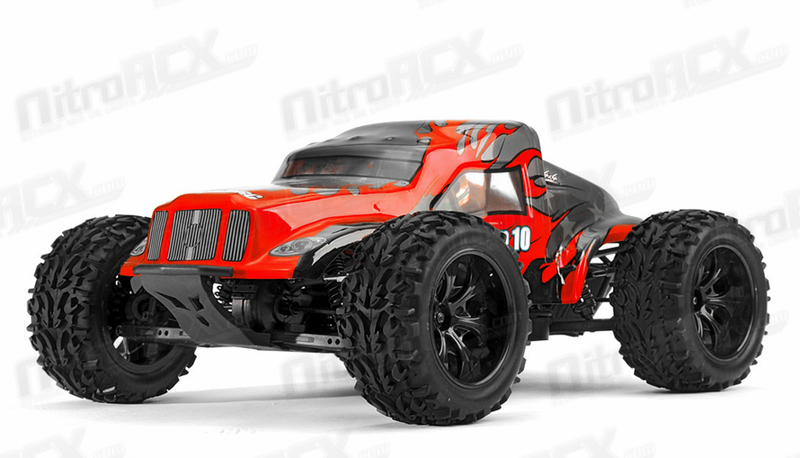 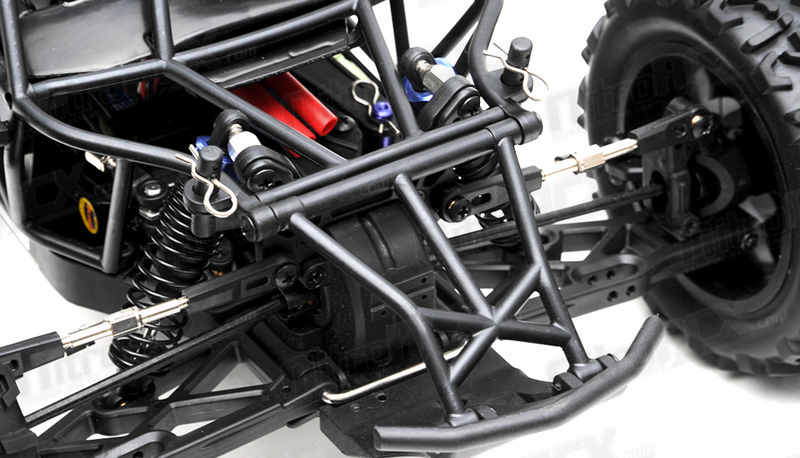 The entire chassis is enclosed in a durable composite roll cage with scale driver and co-pilot included. 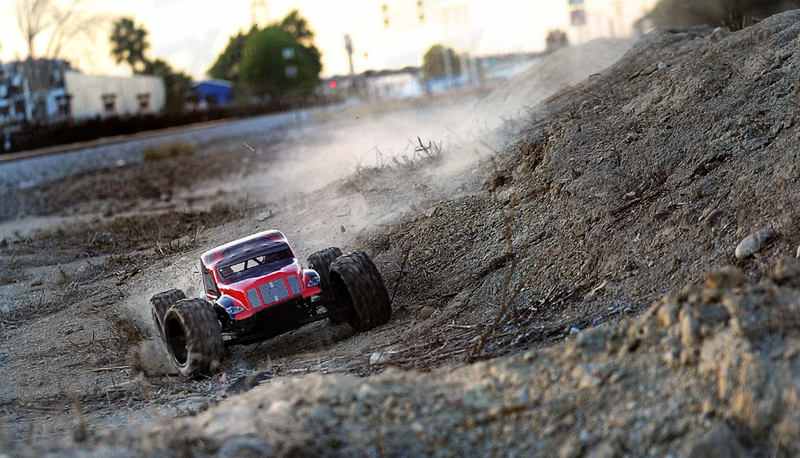 Dirt, sand, snow, mud, rain, this truck will smash through it all. 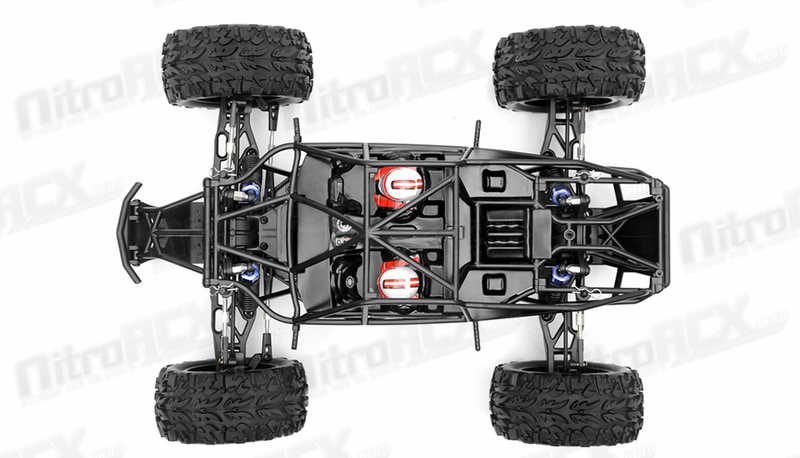 This truck is ready to run. 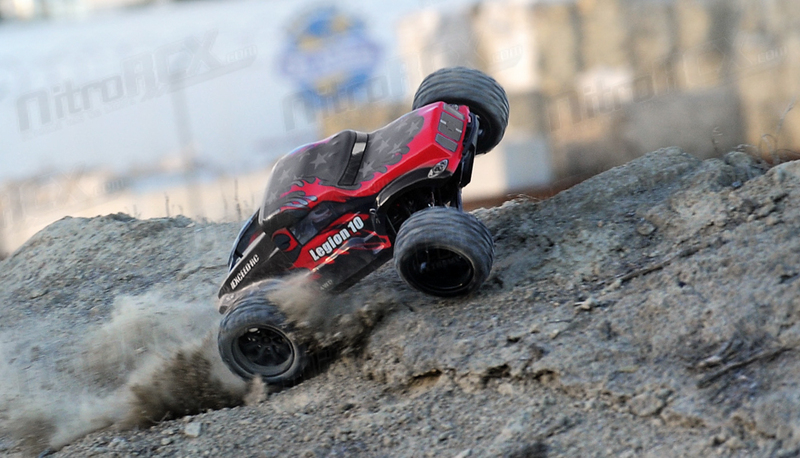 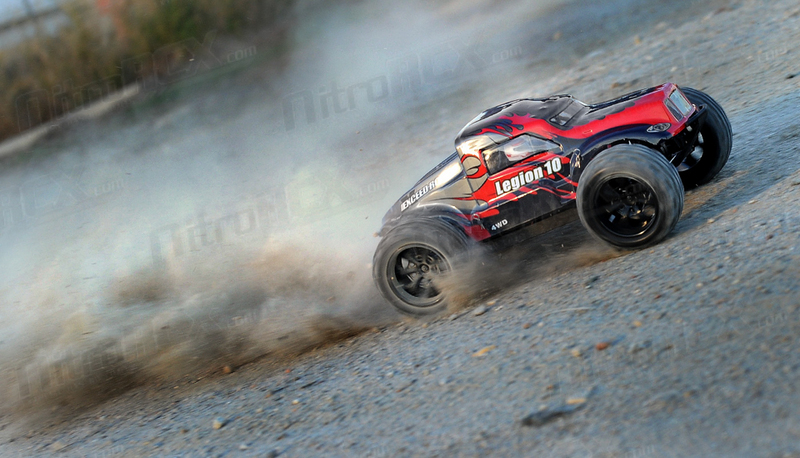 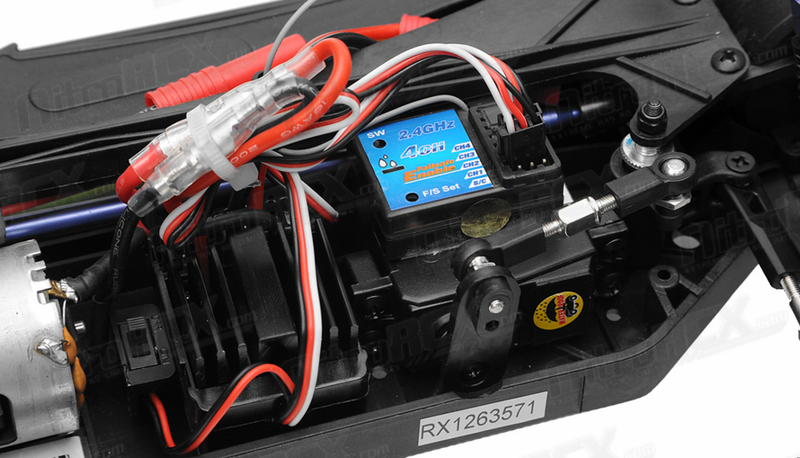 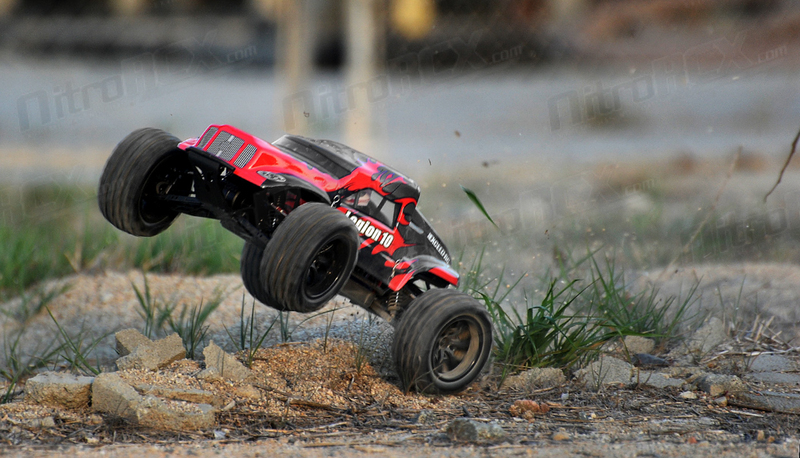 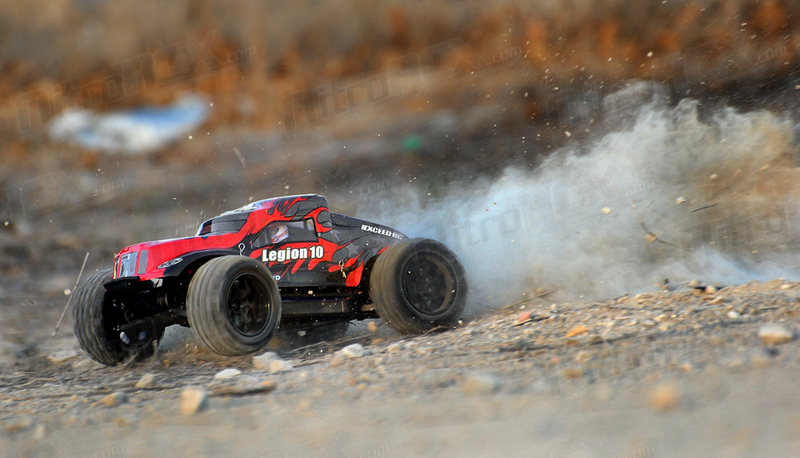 It includes an Exceed RC 2.4ghz radio control system for optimum driver and machine communications. 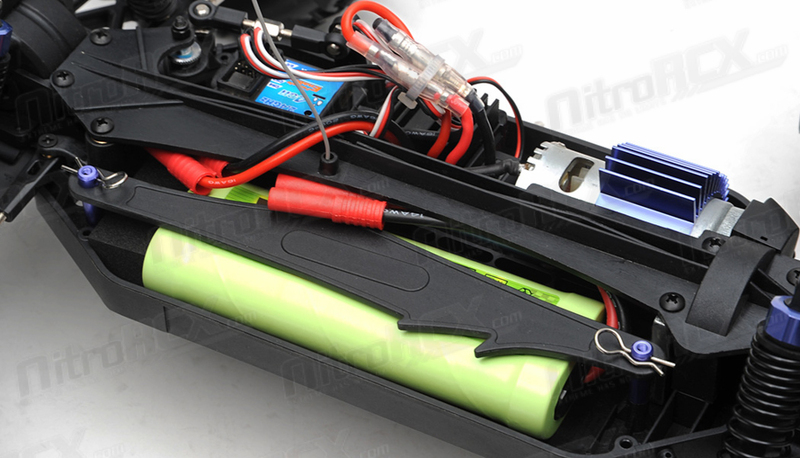 It also included a 7.2v 1800mah Ni-MH battery and charger.